Hello! I’m Susan! Sweetest Beginnings was created during my pregnancy with my twins, Ethan and Abigail. I have a Bachelors Degree in Elementary Education with a Math major. I loved teaching in the classroom for 8 years. 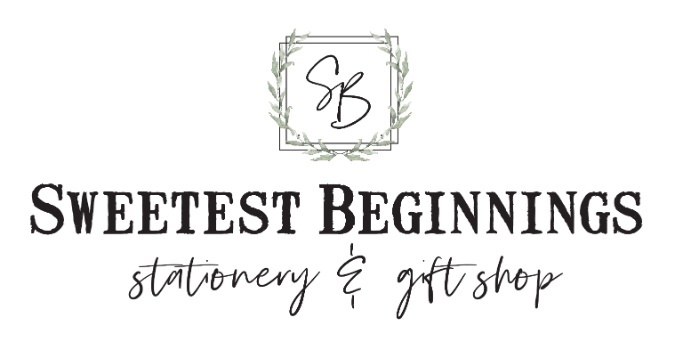 My interest in custom stationery and design started while on bedrest during the last few months of my pregnancy. It has been a path led by God and the growth of it, the shop and our little studio has been a blessing. We love sharing the space with other makers, clients and friends. Hello I’m Hannah! I studied at Mars Hill University and graduated with a degree in graphic design and photography. I absolutely love designing along side my coworkers at Sweetest Beginnings. But when I’m not having fun in the shop I am at home with my handsome son, Maddox, and my two dogs playing outside! Hello, I'm Becca! I studied medical assisting at Cabarrus College, but recently became a stay-at-home mom to three boys under the age of three. Sweetest Beginnings has been a part of my life for the past 5 years. Susan helped design my wedding invites and then did all my custom stationery after. Now it is my home away from home. I love designing custom pieces for all different occasions in people's lives!